The Air Jordan 3 Retro True Blue released again on November 17th 2001. 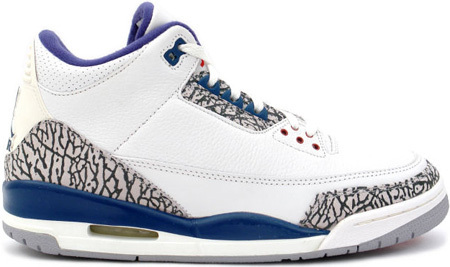 This was the first Retro for the Jordan 3 True Blue, and sold well in stores. A general release, so at the time you could easily purchase the Air Jordan Retro III True Blues. Since then, prices for the Air Jordan 3 (III) True Blue has skyrocketed, going from $350 – $450. 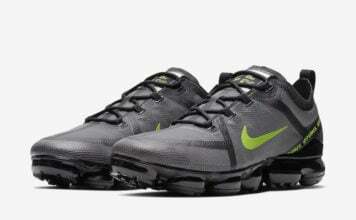 The only down fall is the Jumpman logo, and not the Nike Air at the heel.